At the most fundamental level, college instructors teach students to find answers. We may lecture, assign, and grade, but those tasks support the ultimate goal of instilling in our students the ability to think critically about what they hear and read. There’s no denying that this task has become much more difficult in the age of disinformation and fake news, and it behooves us to take another look at how we teach information literacy. Although the critical assessment of information has always been a part of education, recently academics have been researching the proliferation of inaccurate information online. Unexpectedly, they have found that people who read fake newsare also avid “real” news readers. However, the problem arises when a portion of readers actually believe the false news despite being contradicted by facts or scientific evidence. Studies also show that the more people read inaccuracies, the more likely they are to repeat and believe these falsehoods, which is why researchers are also looking into methods to stop their spread. But until they discover a remedy, the misinformation will continue. The need for knowing how to discern false from real has become ever more critical. This is where information literacy–the ability to assess the need for information and to “identify, locate, evaluate, and effectively use” it–comes in. Identifying involves determining the question to be answered and the extent of the information required to do so. Locating information sources requires the skill to conduct research and knowing how each source of information is produced and distributed. Evaluating information and sources means critically examining their reliability, validity, authority, and bias. The final outcome is using the information effectively to accomplish a specific purpose. The business communication classroom can be the perfect forum in which to teach these important skills. Below are some activities instructors can initiate to help students become better prepared to assess the onslaught of information they face daily. Team up with librarians. Many campus librarians are also great teachers, and setting up one or two sessions with a knowledgeable librarian can familiarize students with campus resources and thereby kickstart the process of learning to critically evaluate what they read and hear. Focus on information rather than sources. Assignments typically call for students to assess the reliability of sources, but they must also be able to evaluate the truthfulness of claims, and to do that, they must examine sources other than the original. Called “lateral reading,” such cross-checking is similar to what journalists do before reporting spurious claims. Teach fact checking. Between library databases, reputable fact-checking websites, and Google Scholar, students have access to a wealth of information that can help them prove a fact. Likewise, a fact that has already been verified as false will appear with a simple search. Students should also know how to follow a trail to find the original source of a fact by examining the path of citations. Emphasize the interpretation of information. To really teach information literacy, instructors must discuss humans’ culpability in the interpretation of information, including confirmation bias and selective attention. This can be accomplished through cognitive strengthening exercises that help students understand their own blind spots. Ultimately, today’s landscape calls for information literacy that goes beyond assessing sources. For our students to leave our classrooms as better educated citizens, they must understand how and why falsehoods thrive and how their own thoughts and ideology influence their interpretations of what is true and what is not. It’s a tall order. This entry was posted in 2. 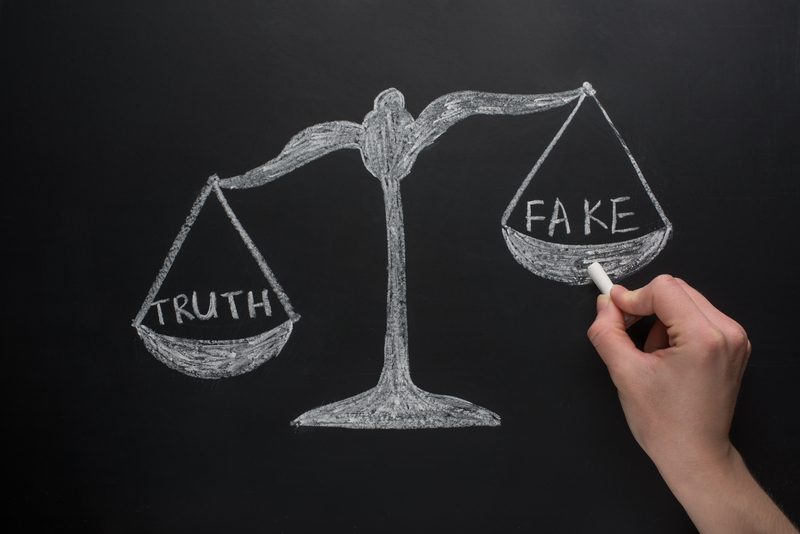 Featured Articles and tagged fake news, information literacy on January 22, 2019 by bizcombuzz.